Thyroid disorders affect approximately 20 million Americans. More than 20 million Americans suffer from thyroid disorders, according to the American Thyroid Association. It’s more common than diabetes and heart disease, but an estimated 60 percent of cases go undiagnosed, which may put patients at risk for serious conditions, such as cardiovascular diseases, osteoporosis and infertility. Additionally, the rate of thyroid nodules and thyroid cancer has tripled over the last three decades and represents the fastest increasing cancer type amongst both men and women. “The great news is that recent advances in genetic testing allow for in office evaluation of thyroid nodules with less need for surgery,” said Dr. Keith Forwith, a physician and thyroid surgeon at Advanced ENT and Allergy. Most thyroid nodules do not cause symptoms. 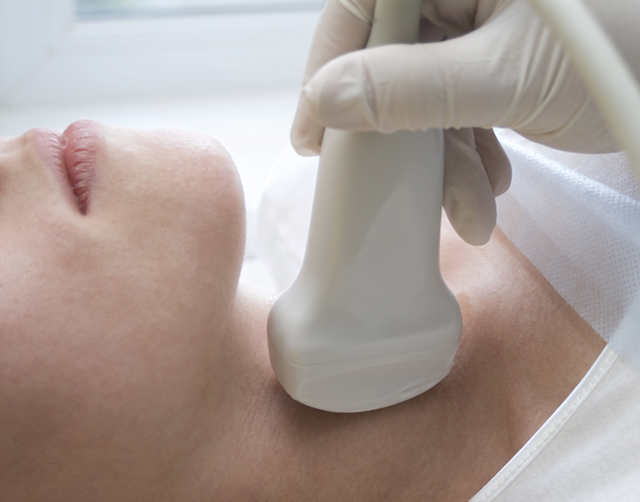 Often, thyroid nodules are discovered incidentally during a routine physical examination or on imaging tests like CT scans or neck ultrasound done for completely unrelated reasons. Occasionally, patients themselves find thyroid nodules by noticing a lump in their neck while looking in a mirror, buttoning their collar, or fastening a necklace. Signs of an underactive thyroid gland, include puffy eyes or gradual forgetfulness, a dull facial expression and changes in hair (sparse, coarse, dry) and skin (coarse, dry, scaly). Symptoms of an overactive thyroid gland, are enlargement of the thyroid gland, bulging eyeballs, fast heart rate, moist skin, frequent bowel movements, tremor, jumpiness, sensitivity to heat, and insomnia. “Early detection of nodules and thyroid cancer allows for less invasive treatment and insures the best possible outcomes ,” said Dr. Forwith.